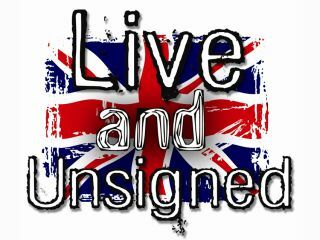 Independent Festivals across the UK are getting huge support from the UK's biggest unsigned music competition, Live and Unsigned. Organisers hope it will get musicians involved in the smaller festivals that can sometimes be overshadowed by the big boys! Spanning across the country, Live and Unsigned acts will be performing at thirteen separate independent festivals spanning the UK; from Paddle Round the Pier in Brighton, to Bfest at the northern tip of Scotland, and pretty much everything in between including AIM's official 'Best Independent Festival 2011'; Bearded Theory Festival! Watchet LIVE and Boomtown Fair will provide quirky alternatives in the West of England, while on the East coast, Brownstock and Beverley are the festivals to go to for a family-friendly grass-roots vibe. Further up North are two very interesting events: Cockermouth Rock Festival is a non profit event that boasts massive previous headliners such as Funeral For a Friend, Gallows and Goldie Lookin' Chain, to name but a few... Lancaster Music Festival will take over the entire city with over 30 venues already confirmed! The Big Stooshie in Scotland is in its first year, but it has high aspirations of becoming the largest Help For Heroes/SSAFA Forces Help Scottish fundraiser in 2012, and with big names like James, The Boomtown Rats and The Hoosiers amongst the veritable cornucopia of acts already confirmed it is easy to see why! In London, Z-Fest and London Summer Jam will be giving slots to Live and Unsigned acts and offering a very unique experience to festival goers. London Summer Jam is billed as providing amazing music, free jams, open mics, fun instrument give away & sing-alongs. It's sure to be a festival like no other and is offering an experience that none of the major festivals could! Perhaps the most innovative idea of all comes in the form of Folk on the Water, a festival with a medley of musicians performing on a large 8-berth boat, cruising gently along the Warwickshire canal. It's another noble event that will raise awareness and funds for the 'Fallen Heroes' charities. There are over 30 festivals giving up slots to Live and Unsigned acts this year, including a main prize of a UK Tour at 10 festivals, namely; Boardmasters, Norfolk Spectacular, Strawberry Fields Festival, Bingley Music Live Glass Butter Beach, Brownstock, ButserFest, Just So Festival, London Summer Jam and Lancaster Music Festival. Add that to the £10,000 pound cash prize and there can be NO DOUBT that this act is going to have the summer of their lives! Information taken from official press release, for more visit Live And Unsigned.